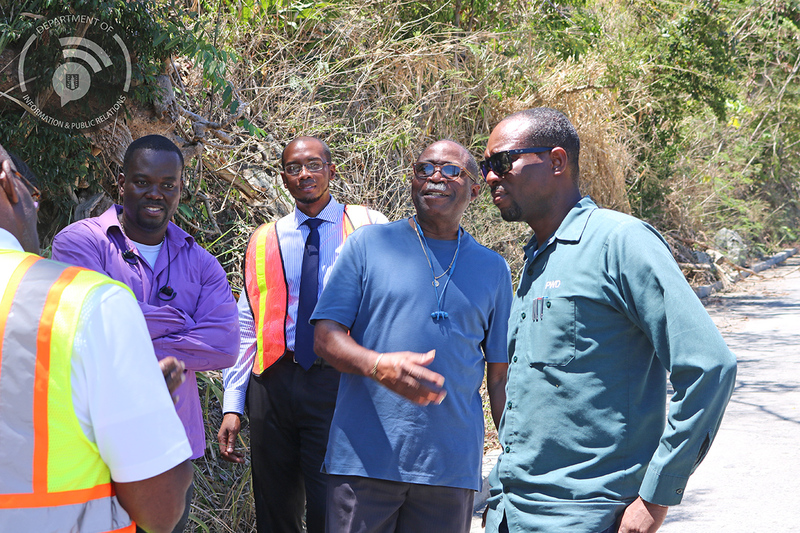 Mr. Hodge and officials from the ministry recently visited the Third District where the road is being repaired from Sea Cow’s Bay towards Chalwell. 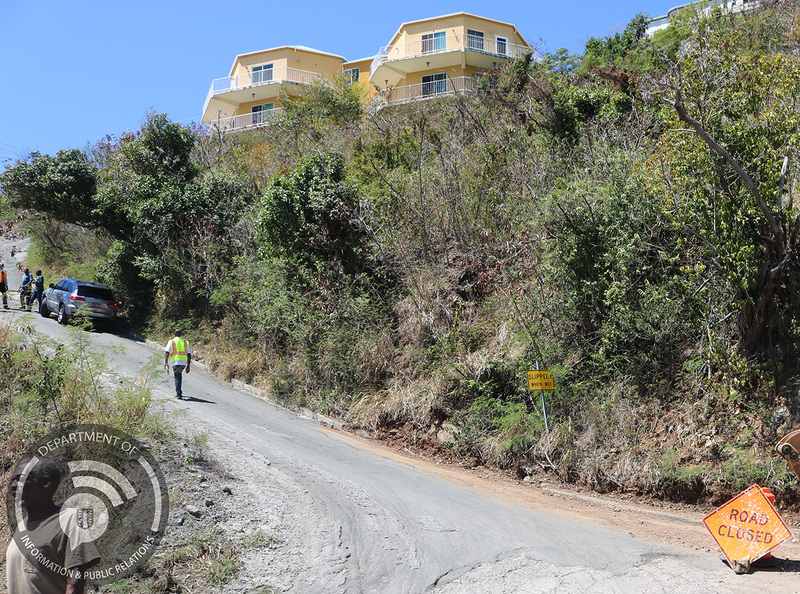 Mr. Hodge said due to the extensive damage to the road surface, the proposed time to have it reopened to the public has been extended. 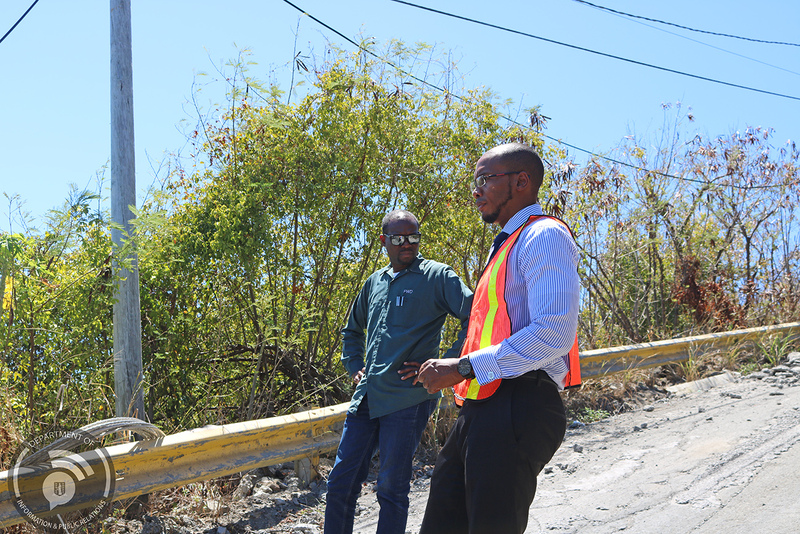 District Representative Honourable Julian Fraser met with the ministry officials and said the works reflect that the ministry understands the urgency of the much needed improvement to the existing road surface. He also urged the district’s residents and commuters to be patient and cooperate with the workers during this time. The public is therefore notified that Threllfall road also known as Elevator Hill road will be closed to the public until further notice. Any inconvenience caused is regretted.